We are finally getting a chance to get caught up after Robingun’s Cindy Lou Who whelped her litter of nine pups June 21st. Four males and five females in the litter were all born healthy and Lou did a great job of jumping into the mother role once again! This litter had been sold before Lou had even been bred. 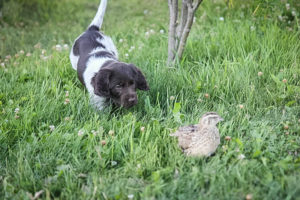 It was a repeat breeding with Zandor vom Fuchseck a german imported male that is a part of Robingun Kennels now. 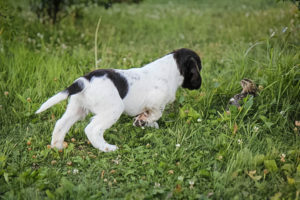 Lou and Zandor make beautiful puppies with nice temperaments and a strong drive in the field. 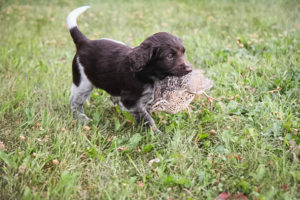 We have had five pups run their NAVHDA Natural Ability Test from our “A” litter and they have all Prized! 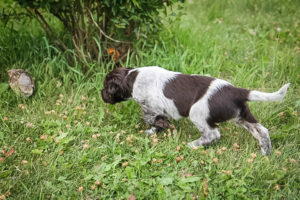 Most of the pups from our B litter were scattered across Canada and one that is headed for the US in the next few weeks. 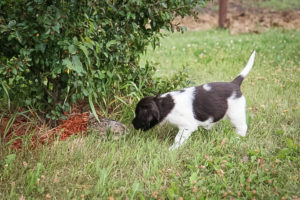 We are very fortunate to have great puppy owners and seems everyone has transitioned into their new homes with ease. 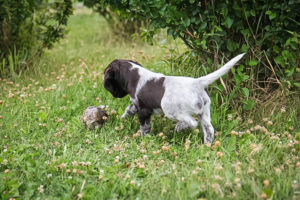 We look forward to having a few of these pups back to run their NA test next August with us! 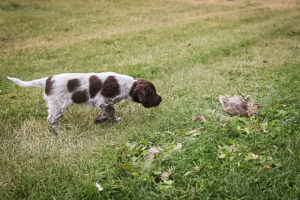 These pictures of the pups were taken at six weeks of age and the first time we had tossed a coturnix quail out for them. 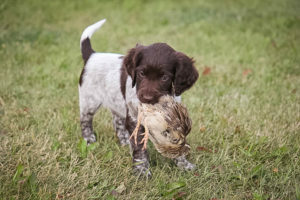 We love to see the puppy points and the desire to retrieve at such a young age! 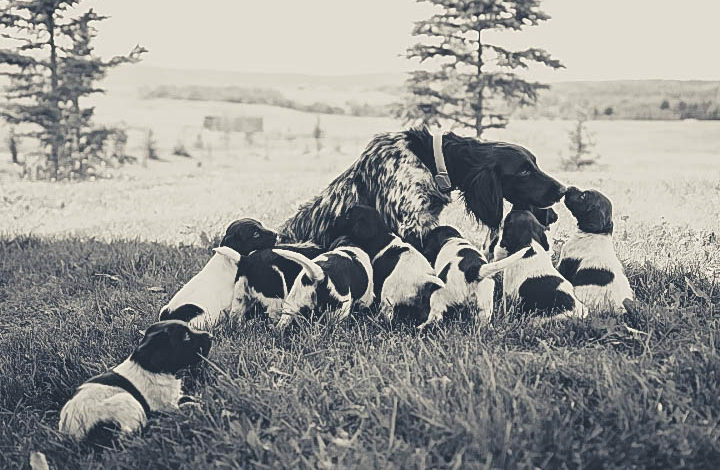 All nine pups from this litter will be outstanding little hunters!